Hollywood is expecting "Avengers: Age of Ultron" to break many box office records when it opens in the U.S. this weekend. That's the number that "Avengers: Age of Ultron" has to beat this weekend in order to become the biggest opening in movie history. The Disney (DIS) and Marvel Studios film hits U.S. theaters for pre-showings Thursday night, and along with it comes big expectations from Hollywood. Most industry analysts are predicting that the film's U.S. opening weekend could bring in anywhere from $195 million to $220 million with some predicting even higher numbers. If the film reaches these projected heights it would break the $207 million record set by the film's predecessor, 2012's "The Avengers," which eventually went on to make $1.5 billion worldwide. "The strategy that Disney and Marvel have executed is unprecedented," said Phil Contrino, chief box office analyst at BoxOffice.com. "These movies just feed into each other... Everything is just growing the brand in a really substantial way." That brand is not just beloved by audiences, but is also one of the most profitable in the film industry. Since Disney took over the Marvel Cinematic Universe in 2012 the franchise has produced six films that have a combined total of more than $5 billion at the worldwide box office. That includes the $201 million "Ultron" made overseas in just days last week. Those numbers are expected to be dwarfed when the movie opens for rabid U.S. fans Thursday night. Before the U.S. release, movie theater chains like Regal and AMC are holding "The Ultimate Marvel Marathon" in select cities. The marathon will show all 10 previous Marvel films consecutively before leading up to "Ultron" Thursday night. As for North American advanced ticket sales, "Ultron" is currently 3.7 times greater than that of the original film, according to data shared by MovieTickets.com. On top of this, "Ultron" looks to be unopposed at the movies this weekend with most new films opening to limited audiences. In fact, its biggest competition for eyeballs may come from the Floyd Mayweather-Manny Pacquiao fight Saturday night -- an event itself that is setting ticket sales records. 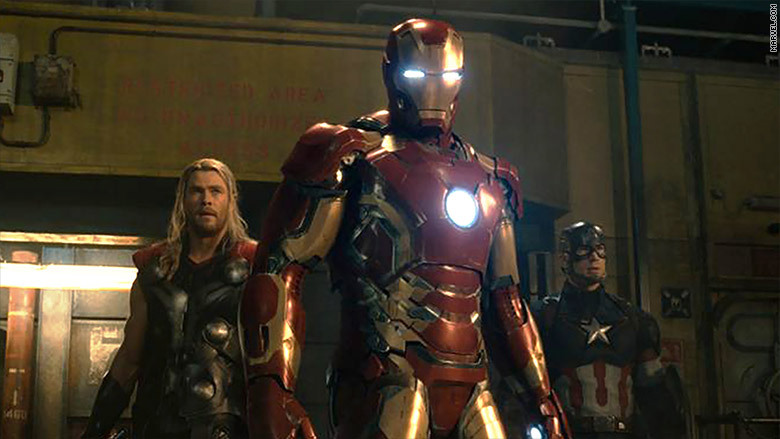 "Fight of the Century" and evil robots aside, it looks like there's not much stopping "The Avengers" from becoming the biggest opening ever. "Well, you know, never say never," added Contrino. "But I think all signs point to it."